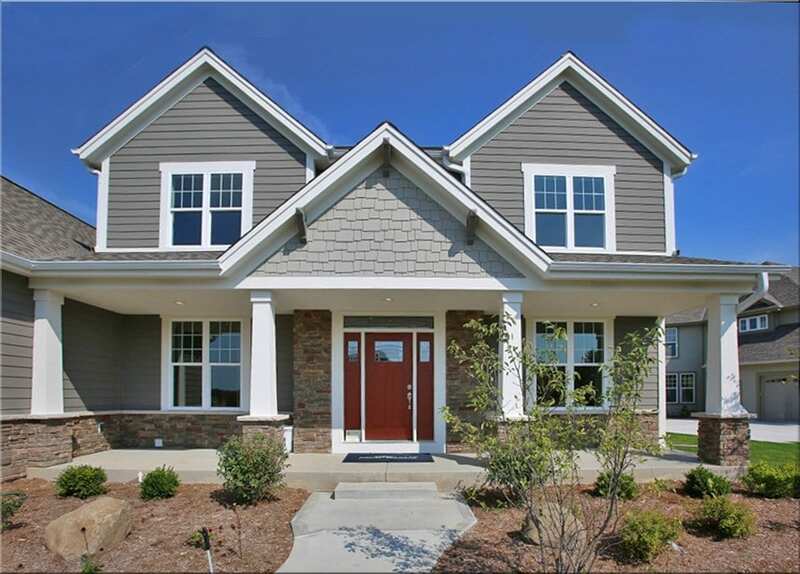 Builders display homes and boast of their inclusions. 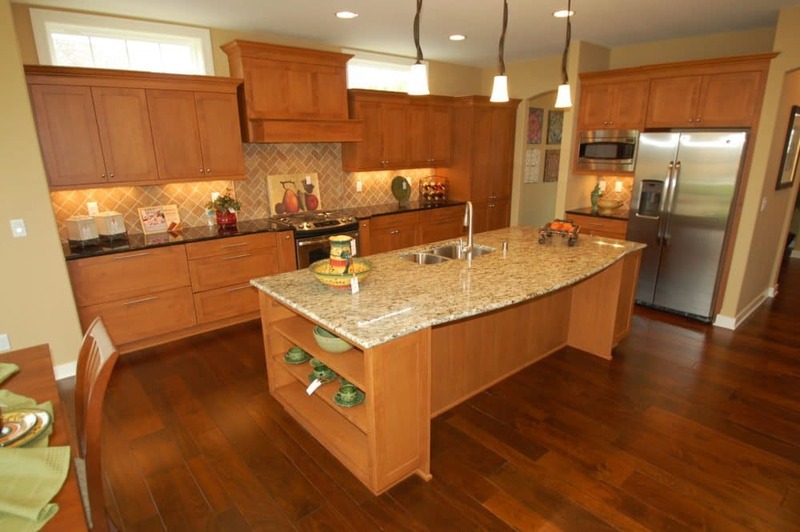 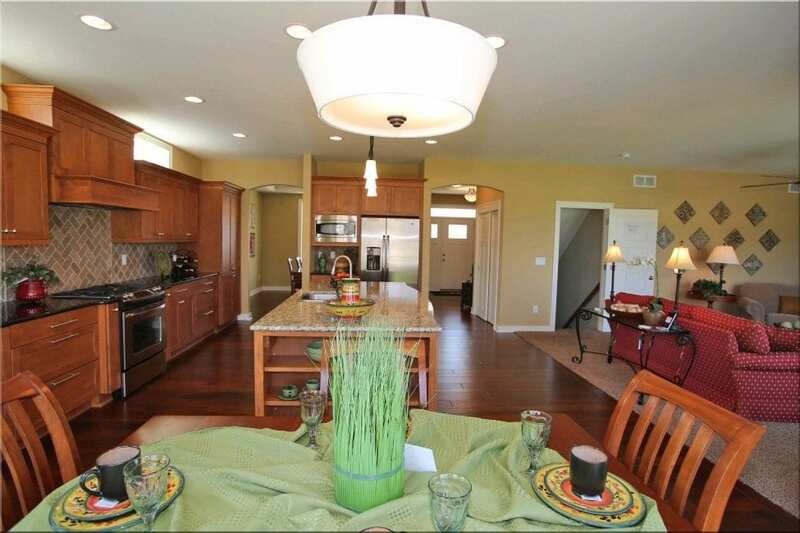 we, in contrast, would like to brag about something its Harrison model does NOT have… a KITCHEN. 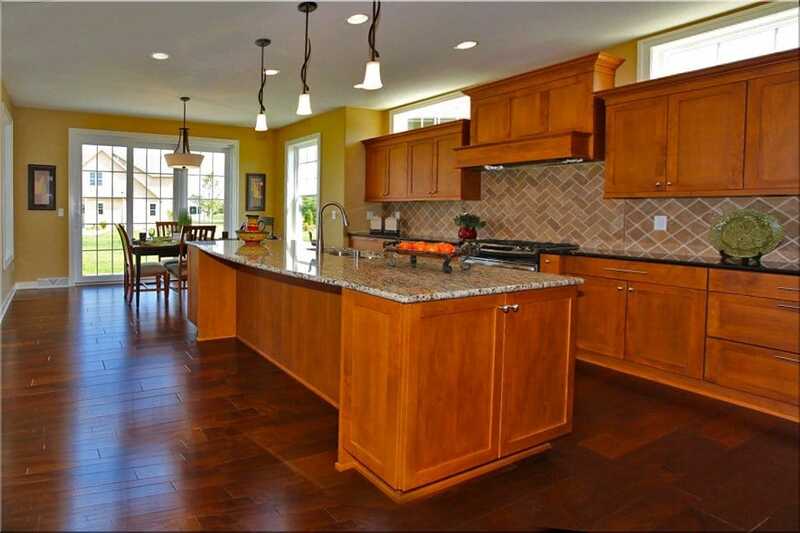 In its place is a LivingCenter in which the areas for food preparation and storage are seamlessly integrated into casual dining and a large living area perfect for daily life as well as the dinner party. 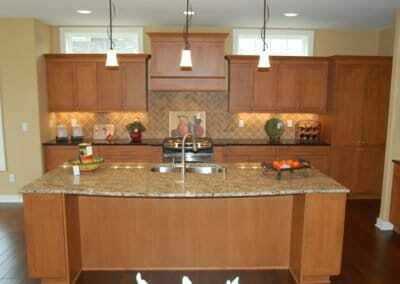 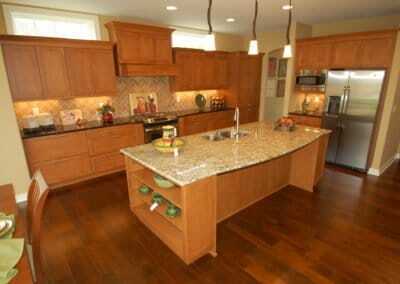 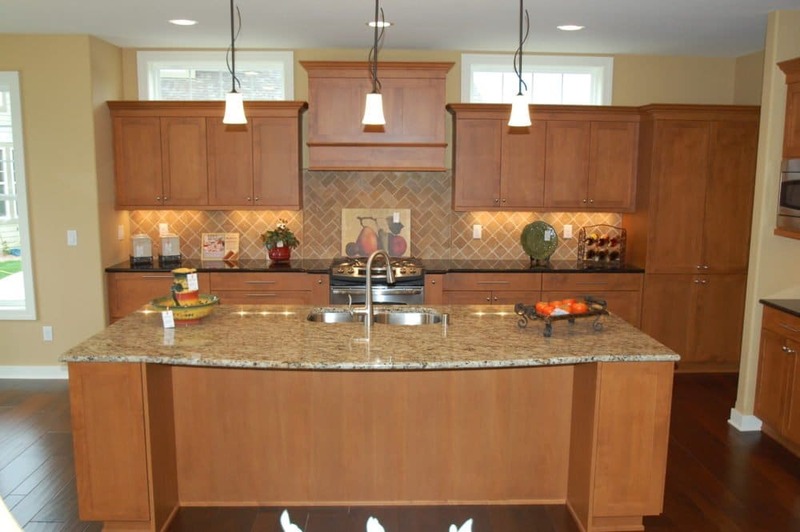 Furniture grade cabinets are not only pleasing to the eye, but also offer function for the family chef. 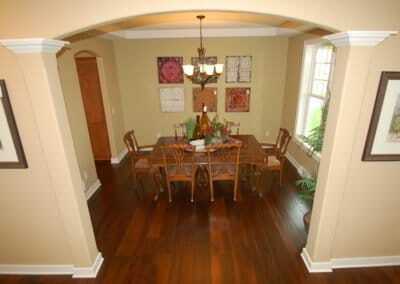 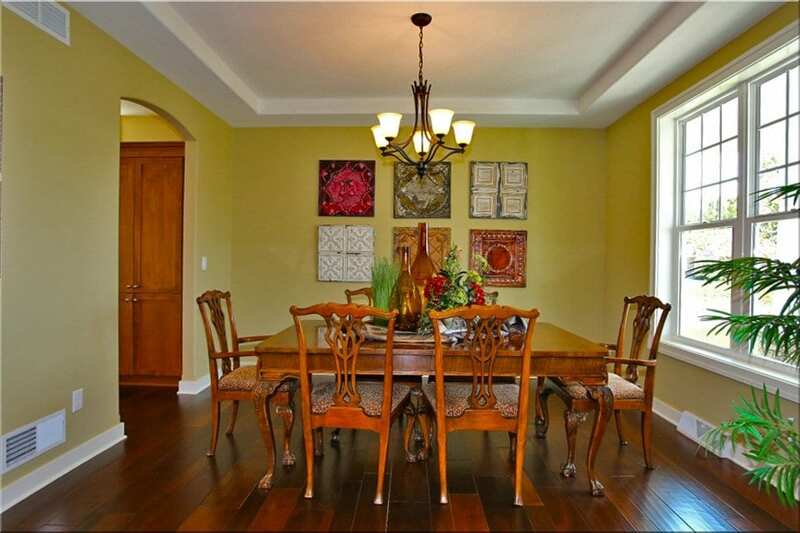 For more formal occasions, the Dining Room is just off the kitchen. 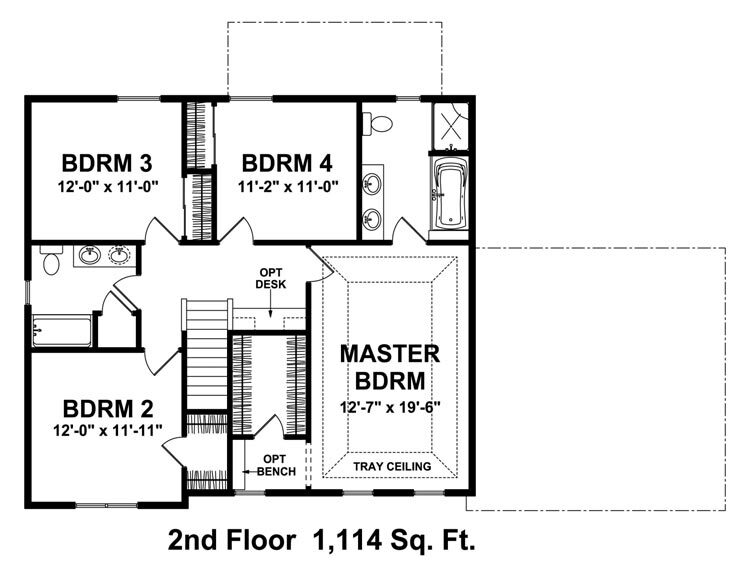 A laundry room, powder room, and mud room complete with lockers finish the first floor. 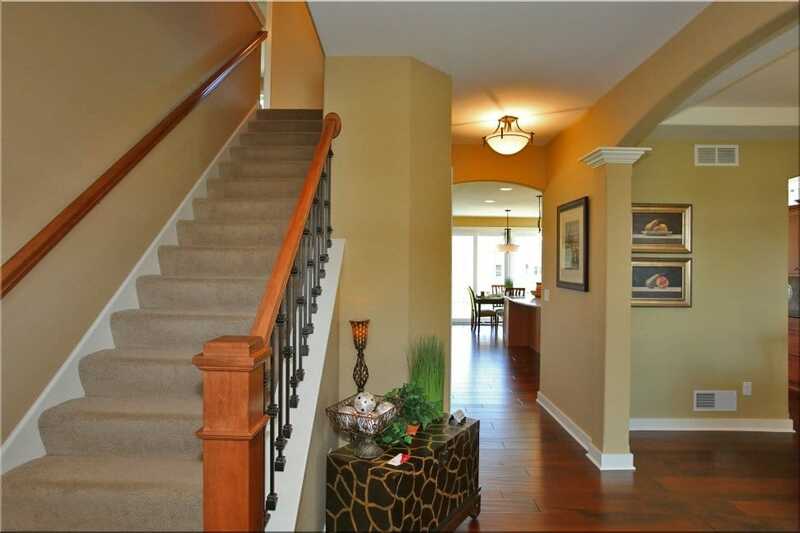 At the top of the stairs in this 2,458 sq. 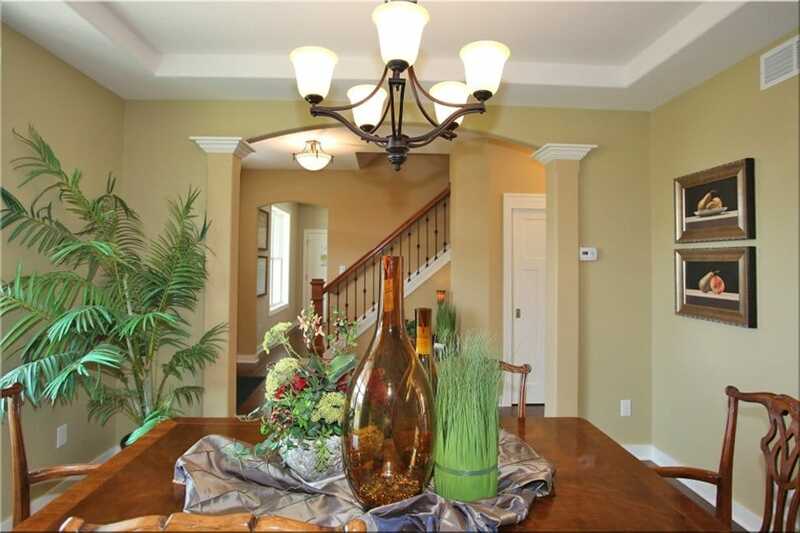 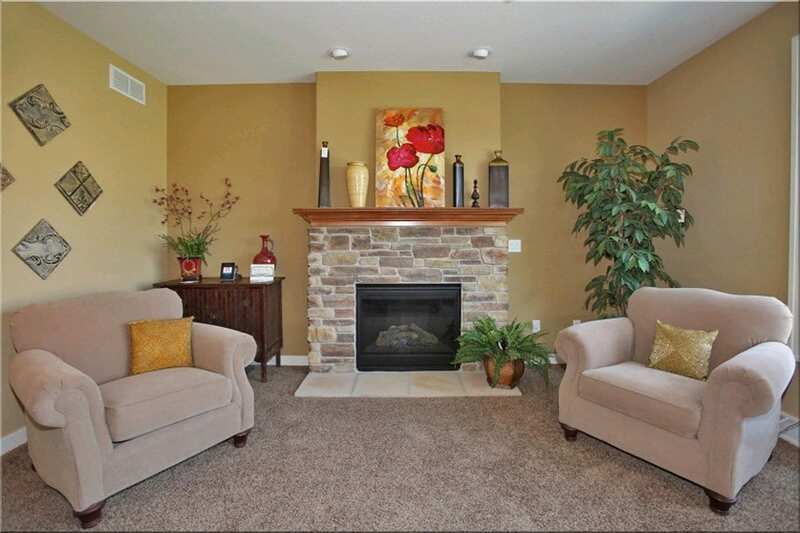 ft. two story you’ll a nice desk area which is nicely accessible from all four bedrooms. 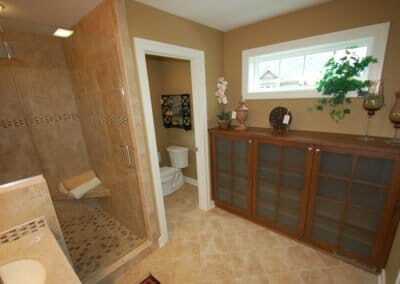 A second bath services the off-bedrooms with dual vanity and extra linen storage. 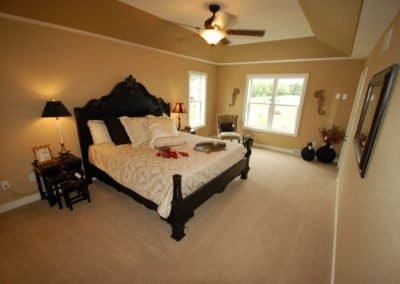 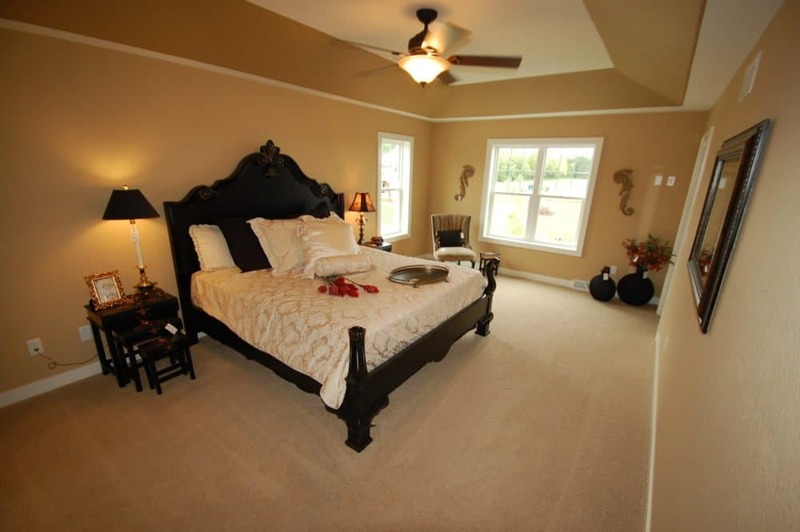 The Master Bedroom is roomy enough for a sitting area and its walk-in-closet is generously sized. In place of a rarely used tub, you’ll find a nicely sized shower and water closet in the master bath with two sinks and plenty of linen storage. 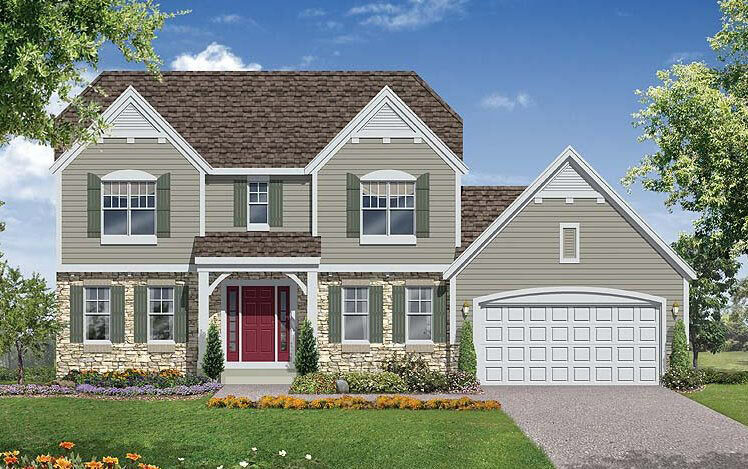 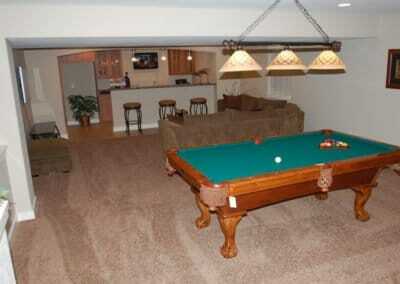 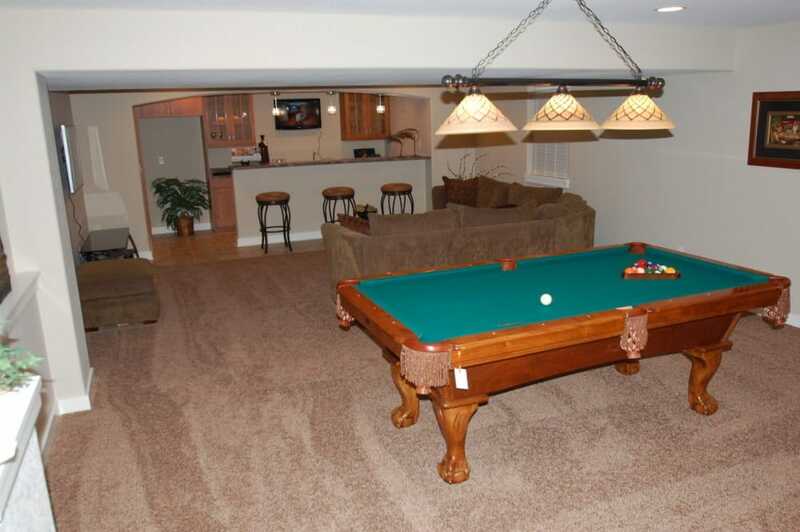 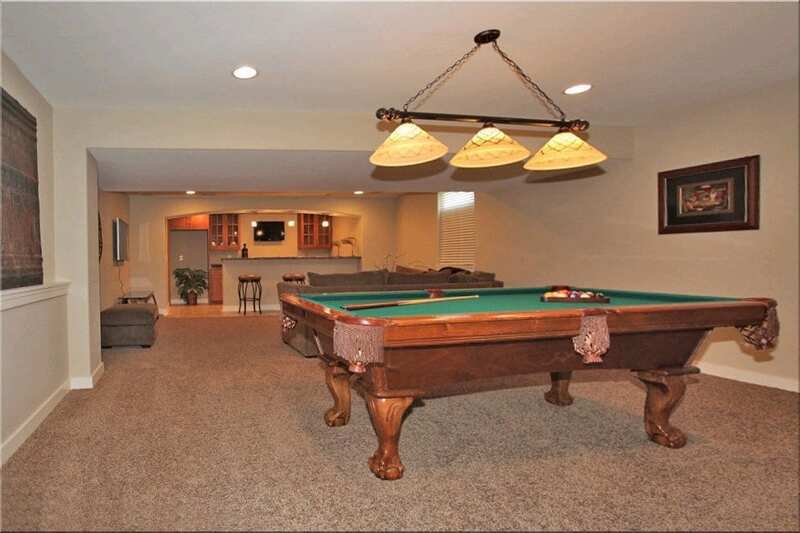 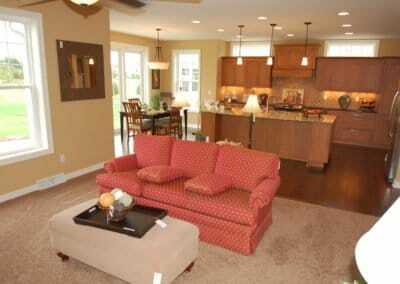 No Parade Home would be complete without a finished basement and the Harrison Model does not disappoint. 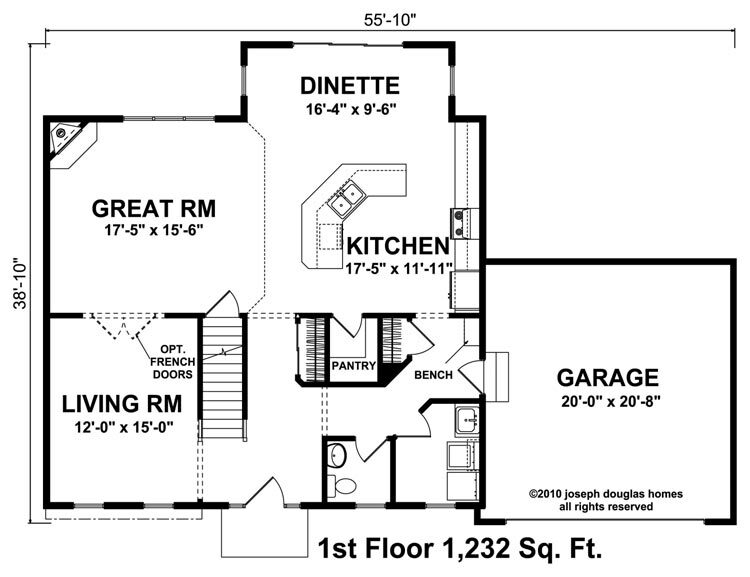 The 700 additional square feet in this fine home is enough room for not only a television viewing area, but also a pool table, bar, and a 4th bath. 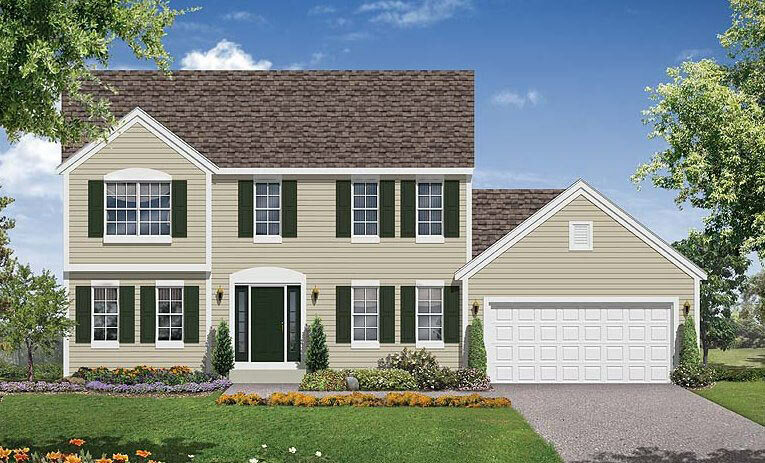 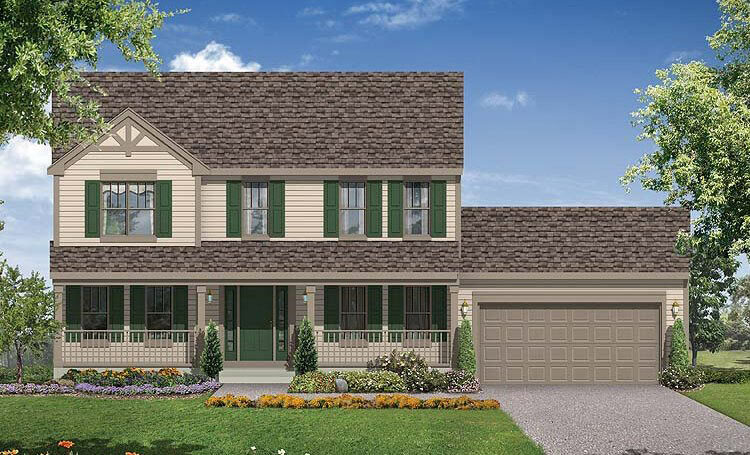 In all, the Harrison Model has over 3,100 sq. 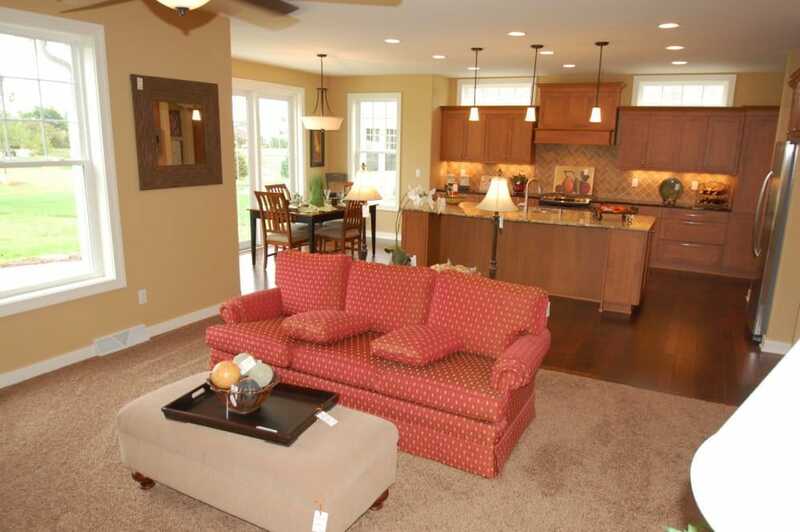 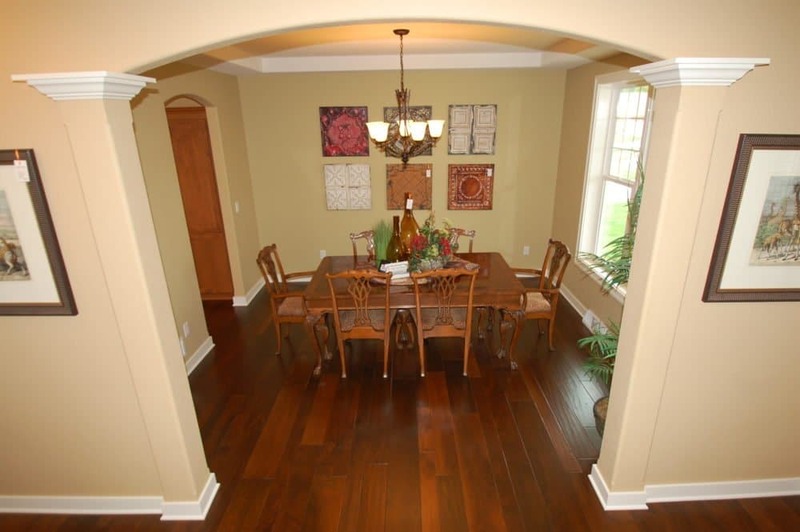 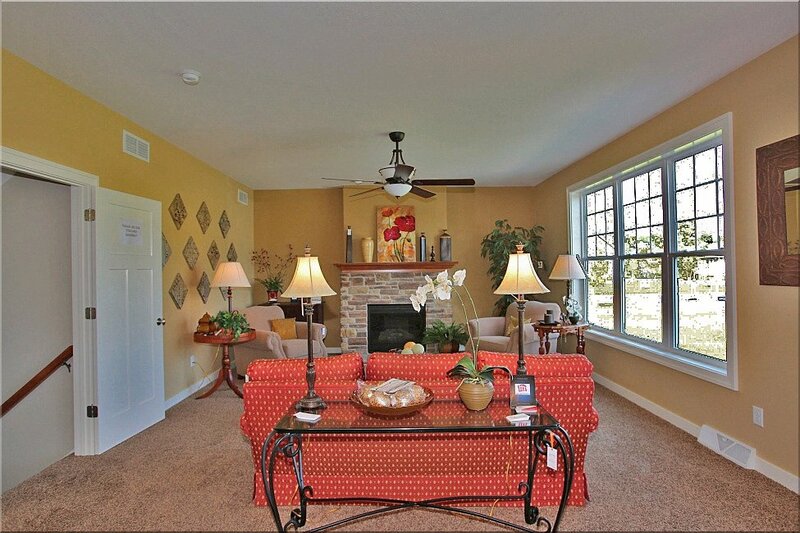 ft. of living space built to the standards you have come to expect from Joseph Douglas Homes.